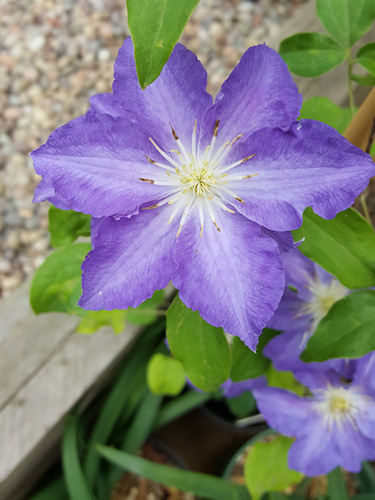 There is a relatively new clematis available called C. 'Stefan Franczak' which was named after one of the most well-known and prolific breeders of the last century. 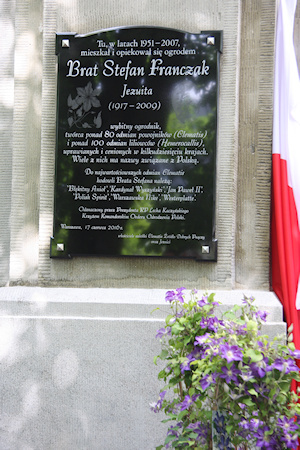 I first saw this clematis in Poland in 2016 at the memorial service for the unveiling of a plaque to Brother Stefan Franczak outside the Society of Jesus College in Warsaw. In the area surrounding the plaque were stood some pots of Clematis 'Stefan Franczak' which made a nice display (see right). The flowers are bright blue with a lighter bar along the midrib, whitening towards the centre. They are 6-10 cm in diameter and usually consist of 6 sepals with attractively waved edges. The first flowers curl round giving a lovely effect. From the plants that I have seen the second and subsequent flushes of flowers tend to be flatter. The stamens have yellow anthers with white filaments. The plant is said to flower in June and July and grows to about 1.7-2 m tall. 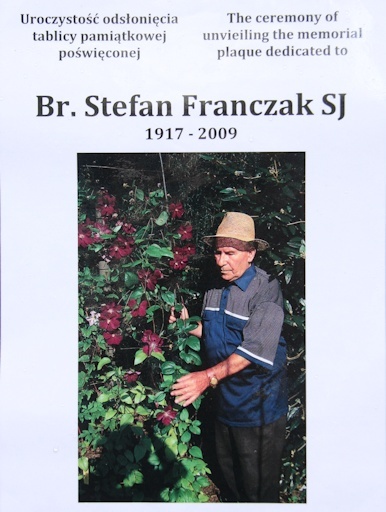 C. 'Stefan Franczak' was bred by the Polish breeder Szczepan Marczyñski and named in honour of his compatriot, Brother Stefan Franczak. Szczepan Marczyñski has done much good work to preserve and promote the many excellent clematis introduced by Brother Stefan. C. 'Stefan Franczak' is such a lovely blue that it should look really good combined with yellow-leaved or yellow-flowered plants. One point to note is that the breeders web site comments that "In sunny, well-lit sites the flowers fade and die earlier" so some afternoon shade for the plant would be good. This clematis is suitable for container cultivation and I have planted it in a container. As I write this in April there are flower buds on the plant and I expect that it will flower in May. Hence my reason for choosing this clematis for this month! You may ask who was Brother Stefan Franczak and which clematis did he breed? 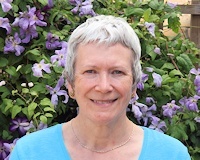 The short answer is that he was a Jesuit monk living in Warsaw, in Poland who loved clematis (and irises and hemerocallis) and bred many new varieties. 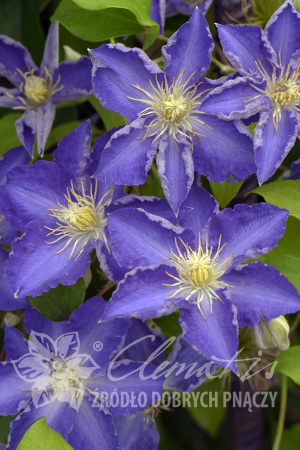 67 named clematis cultivars of his have been registered. Brother Stefan tended to name his clematis cultivars by reference to the church or to Polish history. Using the text search facility on Clematis on the Web, when you enter Stefan Franczak in the 'Raised by:' field, it lists a larger number of clematis. Brother Stefan did not register all the clematis that he bred. He tried them in his garden first to see if they were garden worthy. Szczepan Marczyñski is continuing his work. Those of you who are Members of the International Clematis Society and interested in Brother Stefan Franczak should consult the Society's Journal, Clematis International 2010, for details about Brother Stefan and the clematis that he bred. I have 3 of the above (C. 'Błękitny Anioł', C. 'Emilia Plater, C. 'Polish Spirit') growing in my garden along with C. 'Solina' which is one of my favourite clematis but is less generally available. I hope in the years to come C. 'Stefan Franczak' will also become a favourite clematis!